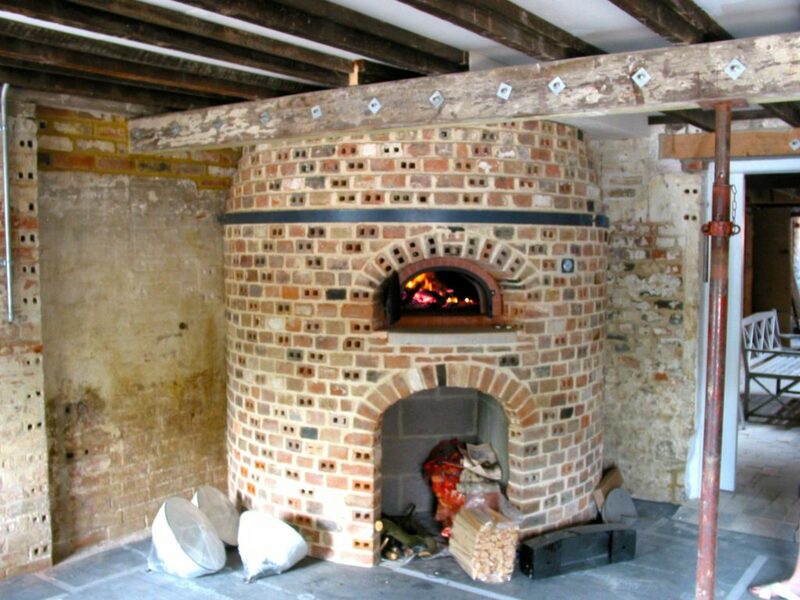 Bringing back the romance of masonry, fire and food to this site, the existing grade 2 listed bottle kiln gave us the inspiration, shape and details for the façade with a double brick soldier arch around the door of the oven and for a wood store below. With a metal band around its chest, reusing the original bricks from the site meant it would look timeless and truly at home. This surrounding structure encloses the oven which sits at a comfortable working height on an inner structure of concrete blocks. 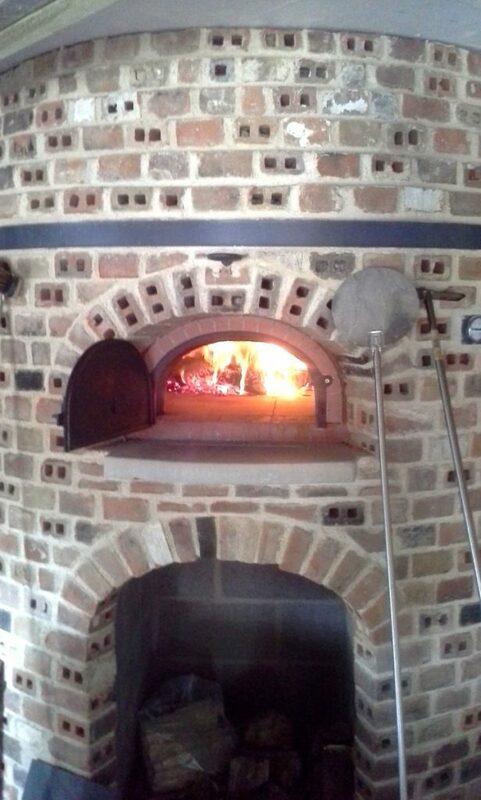 We had chosen a manufactured oven core imported in kit form from French oven manufacturer, Four Grand Mere, as their 1500B short 33 brick oven fitted the oven’s corner position and gave us as a larger interior space. “ The wood fired oven that Amrit built for The Farnham Pottery is the focal point of a very successful cafe operation in the renovated victorian industrial buildings. Its shape and structure echoes the historic bottle kiln on the site and is very much admired.